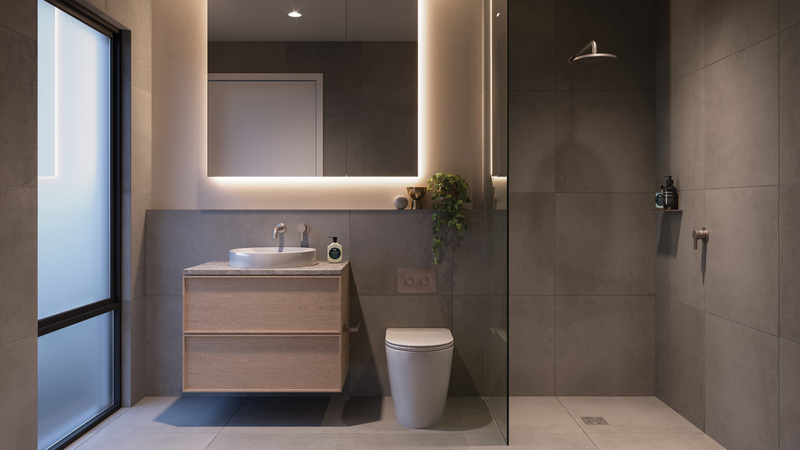 Kew Reserve’s design is composed of a classically natural palette and infused with touches of modern innovation, resulting in living spaces that are comfortably cutting edge. 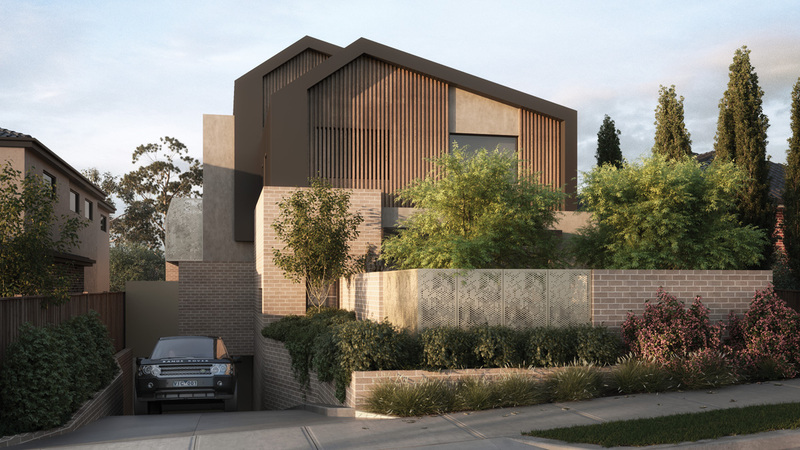 The new development presents a collection of just five luxury two and three bedroom townhouses in one of Melbourne’s most celebrated suburban areas. Leveraging the grandeur of Victoria Park, which is found across the road, and created to seamlessly blend into the landscape of High Street, Kew Reserve’s exterior is defined by natural colours. Detailed brickwork and a sophisticated combination of materials work harmoniously to form exquisite residences that have an impressive effect on the streetscape. Inside are warm, inviting and luxurious spaces reflective of Kew as an abundant, homely and glamorous area. Smoked oak floorboards – the aesthetic foundations for the open-plan living space – harmonise intuitively with natural tones, creating a calm and comfortable ambience that is modern yet immediately classic. To emphasise the attractive colour scheme, the living space is appointed with large windows that allow natural light to fill the interiors and illuminate the home. In the kitchen, darker hues raise the level of opulence, creating an exquisitely modern backdrop for exercising your culinary skill. 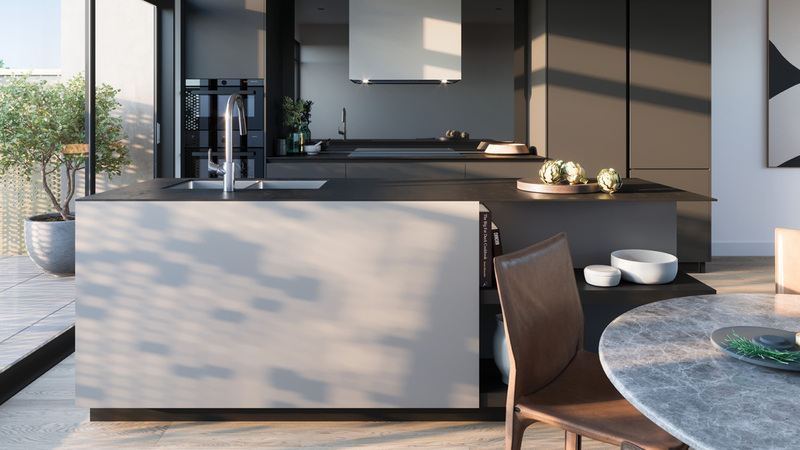 The area is further uplifted by the premier inclusion of Poliform cabinetry, a touch of Italian luxury that goes a long way. With appliances by V-Zug and inclusions by Rogerseller, the kitchen will entirely reform your cooking experience. The bedroom and ensuite blend perfectly to forge a seamlessly integrated sanctuary, the ideal place to escape from a busy lifestyle. Soft browns and beiges through the carpets and walls create a relaxing environment for resting, sleeping or reading by the glow of your bedside lamp. Walk through to the bathroom and you’ll find the colour palette echoed through natural stones and a softly backlit mirror cabinet. And, of course, it wouldn't be a sanctuary without a freestanding bath. After a long day, what better way to unwind than by soaking in some bubbles with a glass of champagne? 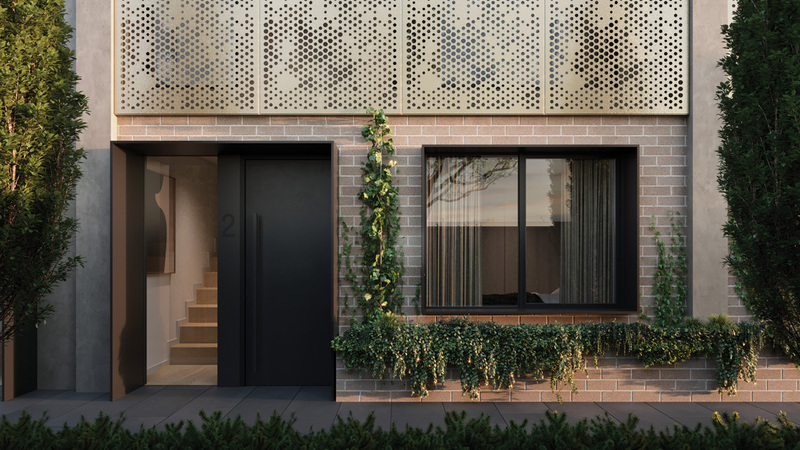 Encapsulating the best parts of Kew East’s culturally rich and abundant realm, the series of five residences is advantageously situated opposite the magnificent Victoria Park. Residents will become part of a community that is treated to endless dining and shopping options, sensational schools, tranquil green spaces and great connectivity. Just around the corner from Kew Reserve lies the charming Harp Village, consisting of restaurants, cafes, grocers and a pharmacy, ensuring residents will have all of their daily provisions within easy reach. Stroll over to Adeney Milk Bar Cafe for a morning bagel and latte that will set you up for the rest of the day. While you’re out, make sure you visit D L Fruit Supplies for the juiciest apples in Melbourne. And on your way home, swing by the Cannings Free Range Butchers to pick up some exquisite cuts of meat for your dinner party. If it’s a particularly special occasion, a bouquet or two from Native Bloom and Foliage Design will brighten your townhouse nicely. Reaching Melbourne CBD for work or meeting friends couldn’t be easier. 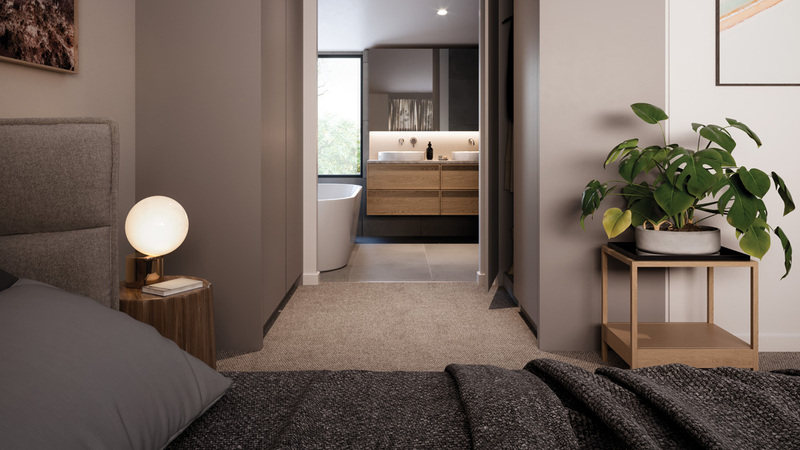 Tram 48, which you can catch from just outside your door, will deliver you to the city in less than half an hour, affording you enviable connectivity from your blissfully suburban surrounds. For more information or to enquire about Kew Reserve, click here.